Welcome to the website of Urban Fantasy author Kit Hallows! Do you enjoy dark, action-packed urban fantasy thrillers packed full of explosive magical adventures and spine-chilling dread? Then you’re in the right place! My name is Kit Hallows and I write Supernatural Thrillers and Urban Fantasy with teeth. 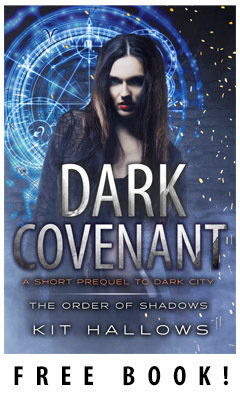 I published my first novel Dark City featuring Supernatural Agent Morgan Rook in 2016, and the sequels soon followed, including Midnight Falls, A Game of Witches, Ender of Worlds and the final volume (for now), The Shadow Rises. You can find out more about these stories on my book page here. Want a free short story? If you love nail-biting stories of otherworldly evil, dark magic and mind-bending terror, then simply sign up here and you’ll be kept in the loop about new Order of Shadow releases, reader bonuses, free eBooks and much much more!